Septic Tank Cleaning Products & Key Advantages of Regular Septic Tank Cleaning? The latest septic tank cleaning products are sophisticated and make the cleaning process much more convenient and hassle-free than before. There are many reasons for getting the tank cleaned more often. As a homeowner, it is essential to have your septic tank inspected and cleaned on a regular basis. The recommended cleaning schedule is every three years. If you have a large family, it is recommended to have it cleaned more often. Septic tank cleaning products helps prevent any unpleasant and unhygienic odor. Proper and timely treatment with can stop the waste from building up and getting into the surrounding water and soil. It can pose a serious health risk to not just your family, but to your pets and neighbors. Regular cleaning also prevents any buildup that could create cracks, thus resulting in exposure. When the cleaning experts at Diamond Septic Tank Cleaning visit your home, they can detect any potential issues that may turn into major problems in the future. This can help in fixing the issues before they become too costly to repair. Such potential problems can include blocks in the pipes and cracks in and around the tank. Regular inspection can thus also prevent dangerous situations from arising. Periodic inspection and tank cleaning also help you in saving money. It can prevent the tank from bursting or leaking, which can be a significant environmental hazard and costs a lot to take care of. A leakage or break not only means replacing the septic tank, but it can also mean repairing the landscaping and building. The main reason why homeowners want to do this is to prevent the sewage from backing up. This can be a dangerous situation, exposing your family, pets, and guests to harmful pathogens. It can increase the risk of severe health conditions, some of which can be life-threatening. 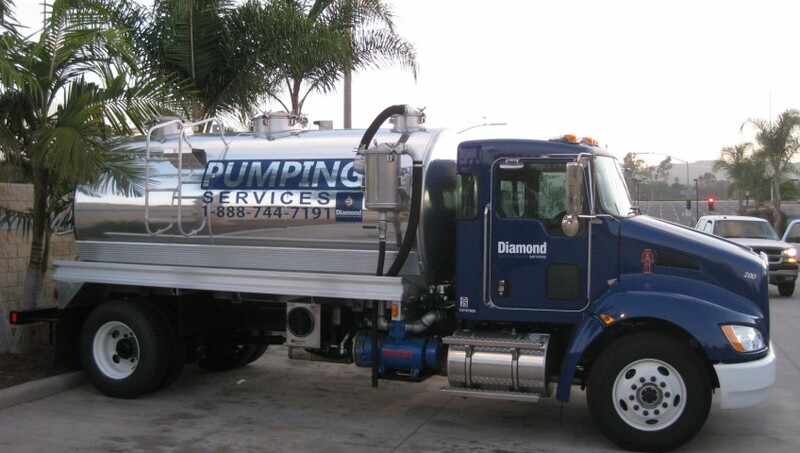 Diamond Septic Tank Cleaning, pumping and septic care, removes all solid waste from the tank before it can reach the level that can cause backups. They will use certified septic tank cleaning products that further creates a sanitary environment. The benefits of regular cleaning not only means protecting your home and family from harmful waste, but it also means keeping the water system clean. Besides, the use of eco-friendly septic tank cleaning products further prevents soil and water contamination. By having your septic tank cleaned regularly by Diamond Septic Tank Cleaning, you are playing an essential role in preventing pollution. Another advantage of regular inspection and cleaning is that it helps maintain free flow in the drains. When the tank becomes too full, the drains are going to flow very slowly. This means that water can build-up when you are taking a shower. The sink drain will also work slowly. When the tank is pumped on time, it will have all the space required for the water coming down the drain. lifestyle habits to take better care of the system. It may seem that regular cleaning can cost you a lot in the long-term. However, periodic pumping and professional treatment with septic tank cleaning products make it more affordable to maintain your septic system. Not paying attention to proper care and maintenance can increase the costs over time as well. Emergency cleaning and repair after sewage damage can cost you thousands. Besides, the environmental hazards created by the damage can further attract fines and penalties from the authorities. Any potential leaks or cracks in the tank, when detected early, give you the time to plan the repair. Cleaning your Septic tank with Septic tank cleaning products are used to ensure thorough cleaning is preformed. The products will not contaminate the local water and soil system. The eco-friendly composition of the products provides that they get assimilated into the system without causing any harm. So consider all these benefits and make user that your septic system is cleaned periodically by professionals. Contact us today at (760) 727-7292 to lean more about our Septic Tank Cleaning and Septic tanking pumping services!